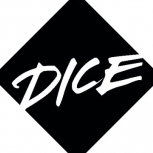 So I recently came across a site that's actually very reminiscent of Stake with a combination of Duckdice. The site is called Luckyfish, and they've currently got Dice, Slots, and Roulette which can ben played with various cryptocurrencies (BTC, ETH, LTC, BCH, and EOS). 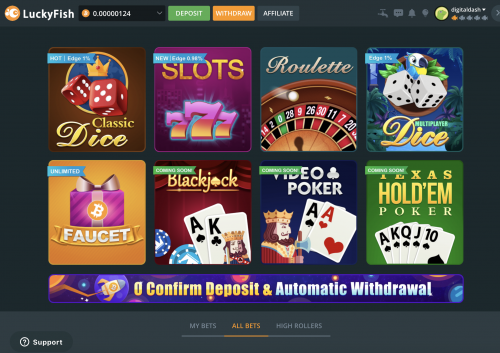 What stood out to me the most was how much time they put into the graphics for each game, it's unlike any other crypto gambling site I've come across yet. That, and the fact that you can play with EOS coin, which is something new to the scene. They also have a "multi-player dice" game which I believe you can play with others at the same time. I haven't tried it out yet, but I have tried out normal dice which is very similar to Primedice (9900x max payout). If you've got time, I'd highly suggest giving them a try, I think you'll be surprised at the level of development that's gone into the site. And Yes they do have faucet which is 200 sats each claim. Btw they just added Stellar, Dash and Zcash today and just opened up Video Poker - If you're into Roulette, this is def my fav place to play roulette as you can play with other people and see their bets along with your own. Check it out! Great post thanks for the tip on the new site. I know I am always interested in new gaming platforms. The probrem is there are so many that when you try to Google them you see the same 5 websites over and over. Have you made any withdrawals yet? I'm always happy to join through referral links if you are willing to split any commission I give you. And sure, if you sign up and end up playing a good bit let me know and we can def split commission.